Friday 5! (#Friday5) Time to share 5 Thoughts and 5 Pictures from the week. Fun easy post to end the week. 1. I actually started writing more on my book yesterday, in fact I got into a really great groove and wrote quite a bit more. It made me really excited to be able to finish it someday and made me want to hurry and finish it. Though I have to admit it half terrifies me to let anyone else read it, but yet I want everyone to read it all at the same time. 2. Today is our Yes day! Eric was even able to take the day off and is joining us today- so make sure you check out my Instagram account as I am sure I will be sharing pictures. 3. To celebrate our last week of summer we went to Panera Bread for breakfast one day. 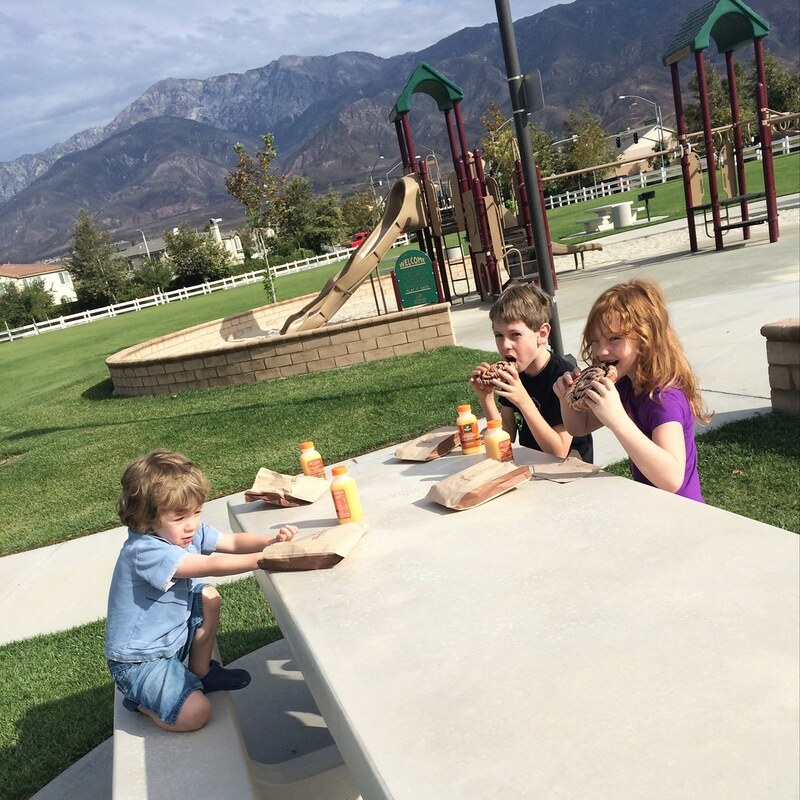 We just picked up food and took it to the park. All I know is I wanted to try all of their breakfast food! I just stuck with a bagel and thee kids had cinnamon rolls. 4. I had gotten a bit ahead in my budget, even had quite a bit of extra money... then back to school shopping happened. Yep, end of my cushion. Anyone find a money tree yet? 5. 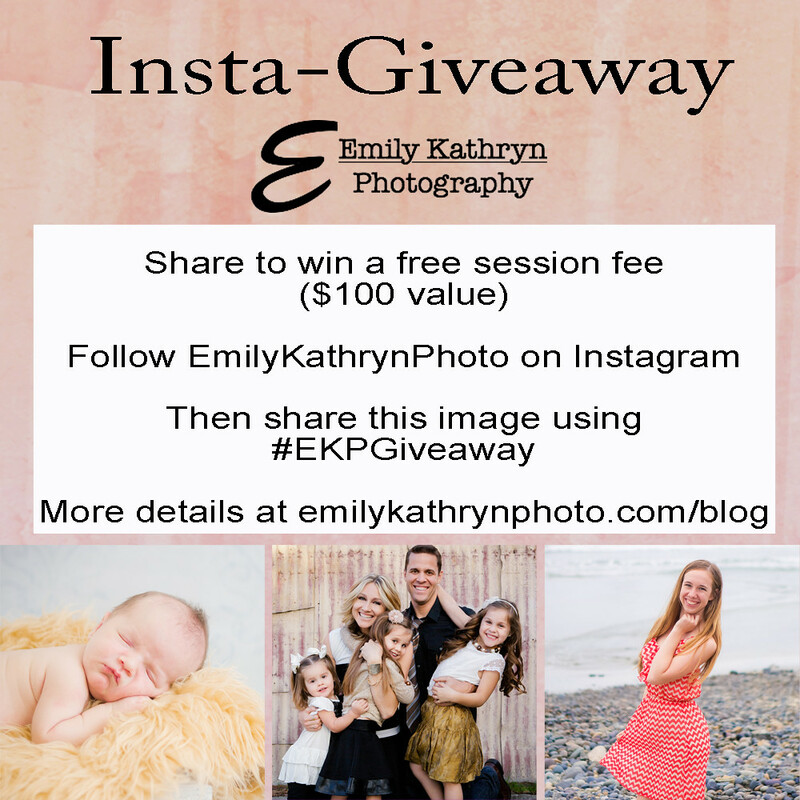 Speaking of money tree- if you live in Southern California and are wanting to save some money, I am currently doing a giveaway for a free session on my new Instagram account for Emily Kathryn Photography. So spread the word and enter to win if you live in the area. Congrats on the book writing process! I want to do that one day. :) Lucas is just now getting into really drawing pictures. 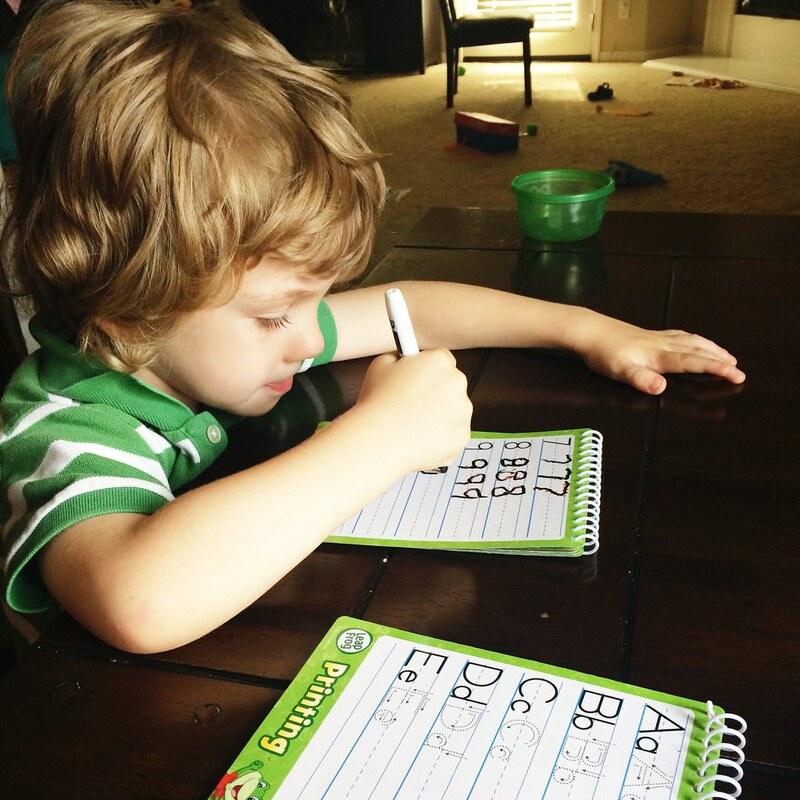 I can't wait to practice writing letters and numbers with him. And hooray for YES days! Can't wait to read all about it! we still have three weeks until our school starts up. Back to school shopping really can break the bank. I soooo want to learn how to swing dance. Very cool! If you find that money tree, let me know! 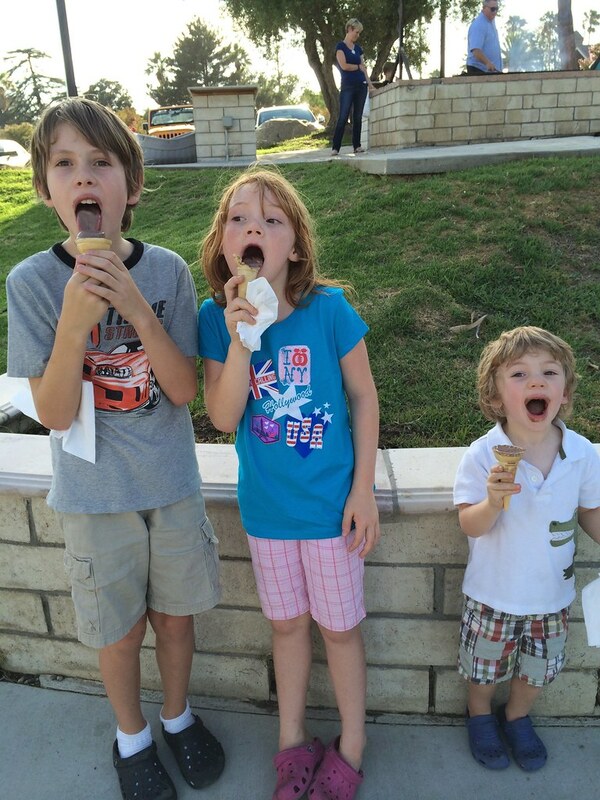 Three kids starting college! 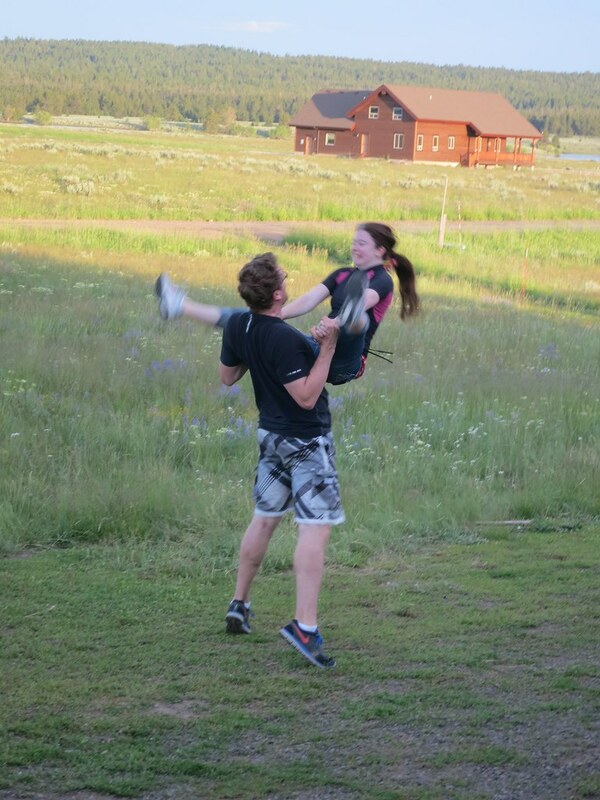 Two moving away to dorms. Eeeek! School starts August 25. This is my first time linking up. I posted late last night, but forgot to link up here until just now! Fun fun to see all that you guys have been up to! That is awesome that you're making progress with your book. I've always wanted to write a book, but I'm not even sure where to begin. I'd love to hear more about how you got started, and I can't wait to read it someday!